Parable: Defined as a short simple story intended to illustrate a moral or religious lesson. These stories have been passed down from generation to generation through storytelling — each story with its own significance and message. What makes these messages so important is that a key message is embedded into the story, which illustrates or demonstrates the message. Modern fairy tales and fables often contain similar messages that help children learn accepted and wise behaviours. Building a high-performance culture is no different. When I am asked about my speaking — I am quick to explain that I don’t give speeches, I simply share stories or parables with a message that allow the audience to draw their own conclusions from the telling. I share stories that demonstrate the critical success factors to developing a high-performance culture or customer service experiences that result from your culture not being right. 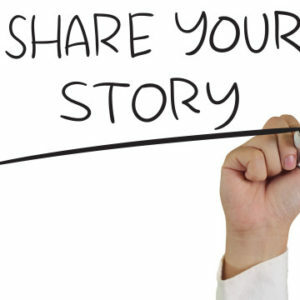 As a business you can also use stories to better demonstrate the behaviors desired by your organization. For example, one of my clients hosted a visit from Prince Charles and Camilla, Duchess of Cornwall at the Royal Winter Fair in Toronto. When Prince Charles left for a business luncheon, the Duchess decided to extend her planned visit resulting in some quick adjustments. One of those simple adjustments was the need for access to a clean washroom should there be a need for a bathroom break. Similarly, another client tells the story about a sales agent visiting a customer who remarked about the shininess of their shoes. They next trip, the sales agent brought a tube of the special polish they used for the customer as a gift. Both stories demonstrate behaviours that their respective organizations want to be demonstrated; taking ownership of a problem regardless of your official role or listening and going the extra mile for a customer. My Perspective: Think about stories — or parables — within your organization that demonstrates your values and desired behaviours. Look for opportunities to add emotional impact. Dig deeper to find the hook that will make the story — and therefore the message — memorable. If you have real stories that demonstrate behaviours you want to see modeled in your organization attributes, especially when imbued with emotional impact, they are priceless. Use them to communicate your core values and service principles in a memorable manner so everyone in the organization understands expectations. And reward people who demonstrate these behaviours with recognition by becoming the star of a future story. If your business has been operating any length of time, you already “own” success stories. Now’s the time to dig them out and put them to work. Click here to find out how my Leadership Consulting will help you understand where your company needs to work and where your strengths lie. Together we can help you use the power of parables to motivate your team.